College is the most definitive step one takes towards a specific career. When a person wishes to make something out of himself, he pursues a college degree. Since the choice of an educational institution is just as important as choosing the right degree or course, looking into good colleges in Indianapolis is going to be important. Brown Mackie College, “The Crossroads of America”, is a career-focused college that specializes in healthcare, business, technology and legal studies. They offer the special “one course per month” program for students who are seeking to pursue their education in a controlled pace; and accept readmission or transfer credit enrolments. Tuition: $18,863 for all residents. Those who choose to go to Butler University come out fully imbibed in the “Butler Way”. Founded in 1855, it specializes in liberal arts and offers students the opportunity to pursue any of the 60 majors from their six colleges and to do a study abroad. Butler University also offers degrees in Business, Communication, Education, Arts and Pharmacy and Health Sciences. Tuition: $44,968 for all residents. Crossroads Bible College (CBC) is an accredited institution that offers versatile learning options for students through their online, dual-credit and extended learning programs. Tuition: $14,090 for all residents. Established in 1902, Harrison College has 11 campuses across the state of Indiana and offers a variety of bachelor’s, associates, diploma and certificate degrees. There are day, evening and online classes, with classroom set-ups enjoying 16:1 student-to-teacher ratio. Tuition: $16,485 for all residents. 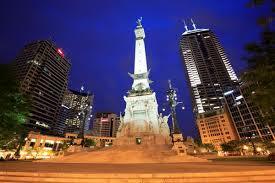 Indiana University is a premier urban public research university that offers as much as 250 different degrees. They specialize in health and life sciences and has been responsible in creating jobs and internships for undergraduates and graduates of their programs. In the recent years, they have attracted over $400 million in grants and awards for research and boasts over 100 research centers for use of students. Tuition: $17,221 for residents; $37,679 for non residents. Since opening its first campus in New Jersey in 1946, Lincoln has shaped the futures of their students with their accelerated career training programs in Culinary, Automotive, Spa and Cosmetology, Business and Information Technology, Health Sciences and various Skilled Trades. With the Lincoln Edge Program, students are able to properly hone their skills and dedicate their education to true excellence. Tuition: $22,000 for all residents. Known as one of the best schools in Indianapolis, Marian University is a Catholic school with traditions that are deeply rooted to the Franciscan beliefs and values. It offers associates, master’s, bachelor’s and doctoral degrees in Business, Nursing, Education, Liberal Arts and Osteopathic Medicine. Tuition: $36,960 for all residents. A private, not-for-profit institution, Martin University is a student-centered facility that offers degrees in Administration, Biology, Sociology, Criminal Justice, Liberal Arts, Environmental Science, Early Childhood Education, Religious Studies and Psychology. Tuition: $21,510 for all students. For the artistically inclined, The Art Institute of Indianapolis is noted as one of the best colleges in Indianapolis for that very purpose. Part of the Art Institutes found in 50 different locations, the school’s main thrust is to provide personal and hands-on education to students. Tuition: $27,198 for all residents. University of Indianapolis (Ulndy) is a private, diverse and comprehensive institution with affiliations to the United Methodist Church. It offers 80 undergraduate programs, 27 master’s degree programs and 5 doctoral programs in different fields, with specialization in nursing, occupational therapy, physical therapy, education, communication and business. Recent student population is recorded at 5,400 with a student-to-teacher ratio averaging at 13:1. If you are enrolling this semester and are browsing through colleges in Indianapolis, the institutions mentioned above are worth looking at. Your choice in a school ultimately defines the path you take towards your future. Do not make a mistake on your education. If you have the style and the eye for fashion but not really looking into designing, then consider Fashion Merchandising. Typically employed by specialty and department stores, Fashion Merchandisers pretty much make decisions as to what the store is going to sell; they decide on what products to buy from companies, what to put out and how to present it. They’re responsible for designing displays and putting together a “look” to entice customers into buying. Sounds like a good career for you? Here are the top fashion merchandising schools in the country today. FIT holds the distinction of having the largest and the oldest Fashion Merchandising Management program in The US. The school offers study abroad programs for students, allowing them to spend a year of their program in Italy studying at The Polimoda International Institute of Fashion Design and Marketing. Financial aid in FIT include loans, grants, part-time employment and scholarships. Kent offers Fashion Merchandising majors the chance to complete their BS Fashion Merchandising with a Master’s of Business Administration program all within five to five and a half years. This conditional admission is convenient for students who also plan on taking their MBA eventually. Kent offers financial aid in the form of grants, loans and work-study. Students who major in Fashion Merchandising will also get a minor in Business Administration to prepare them better for their future career. All Fashion Merchandising majors are required to maintain a GPA of 2.25 to continue enrollment in FM courses. Financial aid is available through parent loans, grants, scholarships, student and nonresident tuition, work-study and fee waivers. This top fashion merchandising school offers exciting opportunities for students to learn: there are tours of New York City every January, Europe and LA on summers, with seminars relating to textile, designs and apparel. There’s also an annual spring fashion show, organized by merchandising students featuring over 100 designs by designing students. Financial aid includes loan, work-study, grants and scholarships. LIM, one of the top fashion merchandising schools in the country, offers a Fashion Merchandising program that is balanced between a liberal arts core with business, fashion and industry courses. You’ll also get the chance to intern and learn from top designers, retailers and brands. Financial aid includes need-based and non-need-based scholarships/grants and loans. PU’s Fashion Merchandising program focuses on the whole fashion value chain: textile and material development, production, sourcing, merchandising, branding and marketing. As one of the top fashion merchandising schools, students have access to internship opportunities for top brands such as Coach, Tommy Hilfiger and Macy’s. Grants, campus employment, loans and scholarships are available as financial aid. IADT’s Fashion Merchandising program centers on business marketing, management and fashion industry trends. If you want a program that is more focused on the business side of Fashion Merchandising, then this school is your best bet. IADT offers financial aid in the form of scholarships, loans, tuition reimbursements, grants and work-study programs. With emphasis on hands-on experience, TCU offers students the opportunity to study retail, wholesale and manufacturing programs in relation to Fashion Merchandising. The school has an extensive TCU Costume Collection with over 2,500 items catalogued as a learning resource for Fashion Merchandising majors. TCU offers financial aid in the form of merit-based and need-based scholarships, federal and state loans and grants. Courses in textiles, marketing, consumer studies, management and art make up the curriculum of The URI’s Fashion Merchandising program. Students are also given the opportunity to travel, attend seminars and stage one fashion show each year for a better learning experience. Financial aid is available in loans, grants, work-study and scholarships. Marymount University’s Fashion Merchandising program focuses on visual merchandising, product development, buying, public relations, fashion events and international trade. Students are also given the opportunity to organize events like fashion shows and present designs to fashion industry icons like Michael Kors and Carolina Herrera. Financial aid includes grants, campus employment, loans and scholarships. Any these top fashion merchandising schools will jumpstart your career and give you the best quality of education in the field. Choose the school with the program and training that you think you’ll enjoy the most. After all, fashion is supposed to be fun. Interested in becoming a physician assistant? Excellent choice. Physician assistants (PA) have almost the same responsibilities as doctors, though they work under the supervision of a surgeon or a physician. They can diagnose, treat, counsel and in some cases, prescribe medications for patients. If you’re looking for physician assistant programs in Florida, then these are the top schools that offer the best programs in your state. UF has one of the best physician assistant programs in Florida. Its curriculum structure is based on three documents: The National Commission for Certification of Physician Assistants (NCCPA) Blueprint, Competencies of the Physician Assistant and Essentials of an Accredited PA Program. The didactic part of the program covers medical problem-solving and patient diagnosis while the clinical part covers 12 rotations in different medical specialties. The program takes two years to finish, and is offered full-time. Students are discouraged from getting jobs while attending the program as the curriculum is rigid and needs serious commitment. Tuition and fees are $27, 940 yearly for in-state and $61, 276.84 for out-of-state. Financial Aid is available through scholarships and loans. Nova Southeastern University offers dual admission to the physician assistant program and students will receive their dual degrees of BS and MMS in Physician Assistant. A total of 4 years and 27 months is required to finish the program. If you’re just planning to take the professional degree (MMS), you’ll need to have a Biology degree, a 3.0 GPA and a GRE score not lower than the previous year’s entering class. Tuition and fees are $24,750 yearly and financial aid is offered in the form of loans, scholarships, grants and veteran benefits. This private Roman Catholic university in Miami Shores offers one of the best physician assistant programs in Florida. The program can be completed in three years full-time, and all didactic students are required to have their own laptop as the curriculum makes full use of technology for course materials and online tests. The school also offers an elective rotation for students to choose the medical specialty that interests them the most. Tuition and fees are $31,800 per year and financial aid includes grants, discounts, scholarships and university, state or federal loans. Located in Fort Lauderdale, Keiser University is among the most selective schools that offer physician assistant programs in Florida as it admits only 40 students yearly. The program runs for two years, with the didactic part concentrating on the study of specific cases and medical journals. The last year focuses on clinical rotations (both in urban and rural settings) and a required research project. While tuition and fees are $28,782 per year, the school offers financial aid in the form of federal and state grants, loans and scholarships. Offering an associate degree rather than a master’s, Miami Dade College has one of the most sought-after physician assistant programs in Florida; mainly because the school does not require a BS degree for admission into the program. Nevertheless, getting in isn’t a walk in the park: only 50 students are admitted yearly out of 600 applicants. Admission requirements include completion of science-based and general education classes with sufficient GPAs. Like every other school in this list, Miami Dade discourages students from getting employment during the two years of completing the program because of the intense course and clinical work. Tuition at MDC costs $25,555.00 for in-state and $50,573.00 for out-of-state. Financial aid includes federal grants, loans and a variety of scholarships. As of May 2012, Physician assistants were earning an average of $92,460 a year. Job outlook for this profession is also great at 30%, which promises steady employment for PA’s in the next ten years. If you’re located in or near the sunshine state, you should consider these top schools offering the best physician assistant programs in Florida. Thinking of going to college in Southern California? Why not? SoCal is famous for its great weather, popular beaches, legendary surf spots and vibrant outdoor life. And of course, it’s home to some of the best colleges and universities in the country, and perhaps the world. Sounds good? Here are the top-ranking universities in Southern California you should consider applying to. Caltech consistently ranks among the country’s top engineering schools, with graduates founding big companies like Hotmail, Intel and Compaq. A year at Caltech costs $41,538 and its most popular majors are Mechanical Engineering, Physics, Biology, Computer Science, Math and Electrical Engineering. Financial aid is need-based and through scholarships. The most popular majors at this highly competitive university include Communication Studies, International Relations, Psychology, Political Science, Business Administration, Biology, Accounting, Architecture and Economics. Tuition and fees cost $46,298 per year at USC and the school offers financial aid by jobs and work-study, scholarships, loans and grants. USC’s most famous alumni include Judd Apatow and George Lucas. UCLA ranks 23rd among the nation’s best colleges, and is one of the most vibrant, with over 25,000 undergraduate students and more than 4,000 teaching faculty. 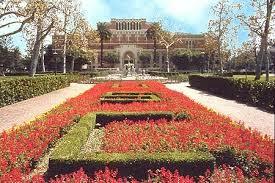 Yearly In-state tuition and fees at UCLA costs $12,696 while it’s $35,574 for out-state. The most popular programs at the school include Psychology, Business, History, Sociology, Political Science, Economics, Biology and English. Student financial aid includes scholarships, grants, part-time student jobs and loans. Pepperdine’s beautiful campus overlooks the Pacific Ocean – all 830 acres of it. The most popular majors in Pepperdine are International Studies, Advertising, Business Administration, Psychology and Communication Studies. Tuition and fees are $44,902 per year. The university houses five schools and financial aid differ within each, although loans, scholarship, work-study and grants are usually offered. Among the top liberal arts universities in Southern California, Pomona boasts of an impressive 8:1 student-teacher ratio. The most sought-after majors in Pomona include Economics, Biology, Media Studies, Political Science, English and Psychology. Yearly tuition and fees at Pomona are $43,580. Financial aid is given in the form of federal, need-based, state and private aid. With a faculty to student ratio of 1:9, Scripps is indeed one of the best women’s colleges in the country today. Annual tuition and fees at Scripps costs $45,546. Popular majors include Psychology, English, Fine Arts, Political Science, Math and Biology. Scripps offers financial aid in the form of employment, grants, loans and scholarships. Claremont McKenna is among the top twenty most selective colleges in America, with an acceptance rate of just 13.6%. The school’s most popular majors include Neuroscience, International Relations, Government, Psychology, Economics, Biology and Accounting. Tuition and fees are $45,625 per year and financial aid includes ROTC loans, work-study, academic scholarships, loans and need-based awards. Another top-ranking engineering school, Harvey Mudd’s most notable graduates include astronauts Stan Love and George Nelson, and former U.S. diplomat Richard H. Jones. The most popular programs at Harvey Mudd include Physics, Engineering, Math, Computer Science and Chemistry. Tuition and fees are $46,509 yearly and financial aid includes demonstrated need-aid, grant and need-based aid, merit-based awards and scholarships. Located in the heart of Orange County, University of California Irvine’s 1,500-acre campus has a circular design with Aldrich Park at its center. Its highly-ranked popular majors include Criminology, English, Psychology, Biology and Health Sciences. Tuition and fees at UCI are $14,688 for in-state and $37,566 for out-of-state. The school offers financial aid in the form of work-study, scholarships, loans and grants. Considered as one of the “public ivies”, UC San Diego’s strengths are in the sciences and engineering. Because of its coastal location, the school is particularly strong in the biological sciences and oceanography. Its six residential colleges were modeled after Cambridge and Oxford, each with its own curricular merits. Tuition and fees are $13,234 for in-state and $36,112 for out-of-state. Financial aid includes work-study, loans, grants and scholarships. If you’re looking to combine your education with some serious fun under the sun, then head on out to SoCal. These top universities in Southern California will take care of your education, and the fun part is entirely up to you. However, most of these colleges are not easy to get into, so it’s best to keep that in mind as well. Founded in 1870, William Woods University ranks 86th in the 2014 edition of Best Colleges in Regional Universities (Midwest). 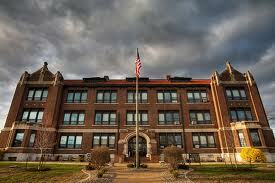 The university is located in Fulton, Missouri and the campus size is 170 acres. The student population is approximately 3,800 and tuition and fees are $19,850. The university offers both graduate and undergraduate programs. William Woods University grants financial aid to students in the form of grants, campus employment, loans and scholarships. All WWU students enjoy some form of financial aid. Scholarships are awarded based on academic merit, campus involvement, athletic success and leadership qualities. Info and Tips: LEAD stands for Leading, Educating, Achieving and Developing. To get the discount, you need to be active in extra-curricular activities. Join student organizations and student/faculty exhibits, attend intercollegiate athletic events, seminars and concerts etc. LEAD has provided more than $30 million worth of financial aid to William Woods University students since it started. Info and Tips: You will be required to write a 300-word essay on your plans of becoming as ASL teacher. You will also be auditioning for the scholarship, and will be asked to upload a video via YouTube. Remember to read all specific criteria before making your video. Info and Tips: Maintain a full-time academic course load and a 2.5 GPA or higher to qualify. Info and Tips: To qualify, you’ll be asked to submit a portfolio of 5 to 10 current works that display your talents best. If accepted, you’ll have to maintain a minimum of 3.0 GPA. Info and Tips: You’ll be asked to upload an audition video with very specific criteria for the discipline you selected, complete with Scoring Rubric. Info and Tips: You will be asked to perform two contrasting monologues with specific audition criteria and to bring your portfolio. Info and Tips: The eligibility for a merit award is based on your academic profile. A minimum GPA of 3.2 is required as well as an ACT minimum of 26 or SAT minimum of 1170. Info and Tips: You must have served as a Missouri Boys/Girls State participant and must have a minimum ACT score of 23 or SAT of 1050. Info and Tips: You must have served as a Governor or Governess of Missouri Boys/Girls State and must have a minimum ACT score of 23 or SAT of 1050. Info and Tips: This scholarship is for the daughters or sons of a William Woods University alumnus, relative of any WWU alumnus or a Callaway resident for two years. A minimum GPA of 2.5 is required. Info and Tips: This scholarship is for the children of ordained Christian Church (Disciples of Christ) ministers. Info and Tips: This is awarded to Callaway County residents with an excellent academic track record. Info and Tips: Members of the Christian Church (Disciples of Christ) may apply for this scholarship. William Woods University administers the scholarship, but the minister of the First Christian Church of Fulton grants it. Info and Tips: Graduating seniors from Mexico High School with a GPA of 2.5 may apply for this scholarship. If you are planning to attend William Woods University, you should know early on which type of financial aid and scholarships you qualify for so you’d have more time to prepare and accomplish the requirements. Visit the William Woods University website for further info. 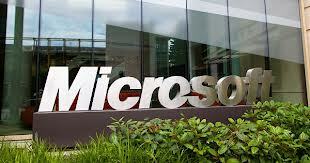 Most IT professionals pursue the Microsoft certification training for a promising career. You need to undergo the program’s updates and changes to become certified. These changes include Windows Server 2012 and Windows 8 integration in MCSA (Microsoft Certified Solutions Associate), MCSD (Microsoft Certified Solutions Developer), and MCSE (Microsoft Certified Solutions Expert) credentials. To help you prepare, here are 5 tips to help you. Microsoft certification took a shift after the development of Windows 8 and Server 2012. Replacements were made with the 3 once popular certification programs. The MCSA (Microsoft Certified Systems Administrator), MCSE (Microsoft Certified Systems Engineer) and MCSD (Microsoft Certified Software Developer) are now known as Microsoft Certified Solutions Associate, Microsoft Certified Solutions Expert and Microsoft Certified Solutions Developer, respectively. Changes include the integration of both operating systems together with the reinvention of Microsoft certification credentials. Remember that MCTS (Microsoft Certified Technical Specialist) and MCITP (Microsoft Certified IT Professional) are no longer available. Aside from bringing back the old certification credentials, Microsoft included new topics to focus on. They lean more on the cloud technology, emphasizing its importance and its tools. You need to pass 4 – 7 exams to prove intermediate and advanced knowledge in the program. MCSE candidates must take 3 exams from MCSA and 2 exams from MCSE to get their credentials. MCSA candidates must only take 3 exams but you can go for MCSE by taking the other 2. If you already have MCITP credentials, then we suggest you look for 60Days2MCSE community program. It is a challenge designed to help you pull off the new MCSE in 2 months. If you have the old MCSE credentials, then you must only take 1 – 2 exams to move up. You must take the 70-417 test to advance to the new MCSA of Windows Server 2012. This test covers all the base exams in MCSA, including 70-412, 70-411, and 70-410. This Microsoft certification training test focuses on the installation and configuration of new operating systems. It also covers the advanced configuration of Windows Server 2012 like storage and file solutions, recovery, services, and access or identity solutions. Since it has all 3 base-level tests, you need to review the configuration and installation of Windows Server 2012 (70-410), Windows Server 2012’s administration (70-411), and Windows Server 2012’s Advanced Configuration (70-412). We suggest that you take the Second Shot program. This allows you to take the 70-417 exam again should you fail it in your first attempt. To get it, you must request it during your registration. The gap between Windows Server 2012’s and Windows 8’s development is wide. This means that study materials for Server 2012 are many than Windows 8. We recommend the bundle of exam references written by O’Reilly of Microsoft Press. Sybex also published one volume of study guide last July. You can look for any related publication of McGraw-Hill and Syngress too. As for Windows 8, you can go for 70-687 references of O’Reilly. Sybex published 70-688 references which is also a good book. The first, and rushed, publication is that of ExamFOCUS which you can use for Windows 8 review as well. This year, Microsoft Press released their MCSA: Windows Server 2012 Certification Preparation Pack which is a huge boost for you. The book contains test references for MCSA including the 70-412, 70-411, and 70-410 tests. You can use it to review infrastructure packages of Windows 8 and Windows Server 2012. Aside from MS Press, other publishers have their books as well. Look for Pearson Publishing because they own the famed prep bundle entitled Exam Cram. John Wiley and Sons publication now owns Sybex so expect good references from them too. Of course, we have good references from Syngress Media and McGraw-Hill as well. These tips will serve you well as you prepare for certification program. If you have suggestions, then don’t be afraid to share them with us. Post additional books and references in the comments section below. Let’s all help one another and pass the Microsoft certification training. Considering being an EMT? Great choice. Emergency Medical Technicians care for the sick and injured in emergency situations by performing medical services on-site and transporting patients to medical facilities. EMTs earn about $34,370 a year and job outlook for this profession is also great at 33% (much faster than average). However, if you do not have the time or the money to attend a classroom-based EMT training program then we have an alternative for you: these five institutions offer EMT classes online. Overview. The UCLA Center for Prehospital Care offers a hybrid course for EMTs, which means that you’ll get EMT classes online but would have to attend in-person skills and testing sessions. Online class sessions are an hour-long, and there are interactive lecture modules, computer assignments and electronic textbooks and workbooks. Classes are every Wednesday while exams and skills instruction are Monday nights or Sundays at your preferred hours. Tuition. If you pay upfront, it’s $1,495 for 190 hours (approximately 20 weeks) of course duration. If you sign up for easy payment plans, there will be additional charges. Please note that federal scholarships, financial aid and grants are not available for this online hybrid course. Overview. Online EMT classes at PERCOM are self-paced and you could finish the course as quickly as you like. The classes include video lectures and PowerPoint presentations, research exams and homework assignments. There’s also a weekly instructor-student chat to discuss course materials and do interactive scenarios. At the end of the course, a final exam will be given via a webinar. After successfully completing the online class, you’ll need to pass a 3-day skills practice session at the PERCOM facility in Texas. Tuition. The basic program costs $1,250 for a 6-month course which includes textbook and clinical skills and fees. If you opt for payment plans, the tuition starts at $1,340. No federal financial aid is available. 3. Link 2 Life Emergency Training, Inc.
Overview. Online EMT classes in Link 2 Life cover all aspects of medical terminologies, treatment guidelines and basic anatomy and physiology. There’s also an online adaptive testing for quizzes, chapter tests and final exams. After that, you’ll be required to attend the skills portion of the class for actual experience in dealing with patients. Also, you’ll need to pass the skills examination before taking the certifying exam. Link 2 Life offers packages for the course which includes lodging, vehicle rental and other things. Tuition. Depending on your choice of package, tuition starts from $1,395 to $2,395 for a 140-hour course. There are also financing plans and tuition options, and they also offer full scholarships for up to three students every calendar year based on merit and financial need. Overview. EMT & FIRE offers self-paced online EMT classes accepted for NREMT (National Registry of Emergency Medical Technicians) Certification. After completing your online coursework, EMT & FIRE will assist you with scheduling time with your local ambulance agency for a ride-along. When you have completed all of these with a final grade of 80% or better, you will be eligible for a scheduled skills week which includes 40 to 50 hours of hands-on professional instruction at Priest Lake, Idaho. Tuition. $3,495 which includes textbooks, workbooks, exams, meals and lodging during skills week, BP cuff and stethoscope, insurance and others. While there is no federal financial aid available, they are offering payment plans at zero interest but subject to some fees. Overview. Training division provides EMT classes online and the hands-on portion of the program takes place at their Texas campus. Virtual classes follow strict standards and your course will include graded chapter tests, completion of workbooks and assessment exams. Skills week last about 11 days, and Training Division does not allow students to participate if their grades fall below the 80% minimum. Once you pass boot camp and other requirements, you’ll be eligible for the NREMT Certification. Tuition. $1,000 plus $230 for the textbooks. Other fees may also apply. No federal financial aid available although there are payment options. Some schools may have prerequisite requirements for students like basic CPR knowledge so it’s best to check with them before paying for enrollment. Although these schools offer EMT classes online, you need to remember that you’ll still have to finish the hands-on portion of your coursework before you could sit in for the NREMT Certification to become a certified EMT. The task of saving lives is a not an easy one. It demands teamwork and skills, especially of an ER tech. The emergency room technician is tasked to perform blood tests, take vital signs, perform electrocardiogram testing, apply sutures and splints, ready patients for emergency procedures and so much more. Basic Life Support (BLS): Although this is not a common requirement, some ER tech programs require applicants to get BLS training before enrolling. When an individual has completed this course, he will be knowledgeable in cardiopulmonary resuscitation (CPR), Heimlich maneuver and the use of an automated external defibrillator (AED). EMT-Basic Training Program: There are various courses that ER tech aspirants can take in universities, technical schools, community colleges, hospitals, EMS academies and post-secondary institutions. To enrol, the individual should at least be 18 years old and carrying a high school diploma (or any equivalent academic qualification). There are certification programs and associate degree programs that are offered in schools where students can obtain the theoretical and practical knowledge that allows them to function as an emergency room technician. The curriculum offered in training programs vary greatly depending on the State and the institution. Most programs run for as long as 2 years, but there are fast-track courses that provide aspirants with the privilege to gain certification in as fast as two weeks. Certification Examination: Every ER tech graduate is supposed to undergo a certification examination. Without this certification, a degree holder will not be able to practice and handle patients in the hospital. Some licences are specific to certain States. Like most professional licensure examinations, one needs to secure a certificate from the State one wishes to practice in. Externship Program: Before a graduate is able to work as a full-time employee in the hospital, he will need to take part in an externship program to gain the hands-on experience. These programs will expose the ER tech to real hospital cases and conditions, and they will be given the privilege to work on patients, under the supervision of highly trained specialists. As an EMT-Basic personnel, you will have the chance of working in the emergency department and have the privilege of travelling with the ambulance. As an EMT-Basic, you will come into close contact with patients, help assess their initial condition and transport them to the nearby medical facility to receive proper treatment. a. Immunizations: Even before an individual is allowed to take part in an externship ER tech program, he will need to get immunized. As part of the medical team, you will be exposed to various diseases and immunizations will protect the individual from infection. b. Background Check: Since the ER tech will work in the hospital and be in direct contact with a lot of people, a background check to look for existing criminal records is essential. This is a standard prerequisite for various industries and it is an important requirement for emergency room technicians. 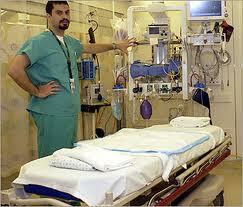 It enables the safety of the patients and the other people in the medical team. Additional Training and Certifications: Depending on the job, employer, institution or organization, there may be additional training that an ER tech needs to undergo to gain specialized skills. A paramedic program is often very useful to aspirants because it gives them the privilege to advance their career as an ER technician. Do you want to be an ER tech and become part of a team that saves lives on a day-to-day basis? The job of being an emergency room technician is not a small one. But with the right training and guidance, you can be well on your way to making a difference in people’s lives. Are you looking for study techniques that are guaranteed to help you ace a test? Tests are one of the most important things students have when in college because it sets them up for future. 10. Manage your time effectively. There are 24 hours in a day and in studying for a big test, you need smart time management. Plot out a timetable and itemize topics or sections into specific days or times. You can also label every item into priority levels, giving more time to harder topics. Give yourself a schedule to follow and make sure that everything is covered. 9. Give yourself a rest day. This is most especially true for lengthy revision schedules that go for weeks to months. When plotting your timetable make sure to afford yourself a rest day to go to the spa, watch a movie or read a book for leisure. Let your brain inhale for a while because it will relax and become more prepared for another round of gruelling revision. It does not matter if the results you obtain from cramming are good or bad; cramming a revision only serves the examinee for that moment. Information retention is most likely low compared to when you really give yourself enough time to learn the material. Learning is a process and to do it properly, you have to start from the basics and go from there, so that you build a strong foundation for yourself. Apart from owning winner study techniques, you have to be eating food that will enhance brain and body function. Omega-3 fatty acids are the most popular brain food because they carry a brain boost potential that you can really benefit from. Omega-3 fatty acids such as fish, olive oil and nuts combined with various sources of Omega-6 fatty acids are also believed to reduce anxiety that is commonly found on examiners. 6. Switch study locations from time to time. While some take comfort in frequenting the same study venues because of ambience, amenities and availability of study resources, studies reveal that it is better for one to have alternative places to study because it helps in memory retention. A person’s memory is coded and colored by location and when you alternate venues you are able to code your revisions accordingly. Instead of learning about the same thing all the time, give yourself a break and cut into different topics or subjects in a single day to help memory recall. Understand that according to cognitive load theory, your brain runs on a certain bandwidth and once it is exceeded, none is taken in anymore. Your study techniques should never make room for the sinful social networking sites such as Facebook, Twitter, Instagram, YouTube and so forth. If you ought to go online, make sure to block these sites because it is an awful distraction for learning. Before the big test, make sure that you have given yourself some time to go through sample tests or old papers. You can time yourself or ask someone to facilitate your mock test, so that you can prepare for the big day and get more familiar with the material. While it is not exactly encouraged that you study in a group all the time, it is always good for you to organize a group of peers. Friends often share study techniques that each and everyone can apply on their own. More so, working with a group means being able to share and compare study materials; and people within the group can quiz each other, making learning so much more fun and interesting. Are you thinking of pulling an all-nighter just to ace your test? 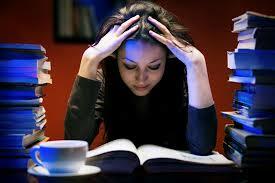 Do you know that when the brain lacks sleep its reasoning capacity becomes highly impaired? This means that it will be more difficult for your brain to function and make sound decisions when it is tired, so make sure to give yourself a lot of time to sleep and rest before the big day. Whether it is an entrance exam or a final exam, success is significant because it points you towards a definite direction in your career. By being equipped with the right study techniques, you are claiming victory and control over your future. Do not face the battle unprepared—be the victorious soldier and be ready with your strongest weapons! With Americans spending more money on medical care, it’s no surprise that most of the highest paying jobs in the US are in the healthcare industry. If you want to pursue a career in healthcare, you might want to take a look at ten of these in-demand medical careers. These medical professions have the fattest paychecks and the best employment opportunities projected for the next ten years. What they do. Anesthesiologists focus on the care of surgical patients particularly in pain relief. They administer drugs and monitor the patient’s response to the administered drug while in surgery. How much they earn. Anesthesiologists typically earn about $232,830 every year. Job outlook. Job growth is projected to rise for anesthesiologists with the demand for higher levels of care. This is the highest-paying occupation out of all medical professions. How to become one. After getting your bachelor’s degree (4 years)from college, you’ll need to finish medical school (4 years), complete your anesthesiology residency (4 years) and then get licensed to practice medicine. You may also get board certified, which is optional. What they do. Surgeons operate on people to treat injury, disease and deformities. They also do surgeries on people to prevent life-threatening conditions. 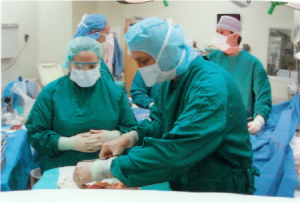 Surgeons may specialize in orthopedic, neurological, cardiovascular or reconstructive surgery. How much they earn. The average salary for surgeons is $230,540 per year. Job outlook. With a faster than average growth, more employment opportunities are projected for surgeons in the next decade. How to become one. Get your 4-year bachelor’s degree from college, finish medical school in 4 years, complete your residency program (which may take anywhere from 3 to 8 years) then get licensed to practice. What they do. OB/GYNs provide care through the diagnosis and treatment of health-related issues that are specific to women. They treat and counsel women throughout their pregnancy and deliver babies as well. How much they earn. OB/GYNs earn about $216,760 per year. Job outlook. The demand for healthcare ensures that employment for OB/GYNs will continue to increase in the next ten years. How to become one. Finish your 4-year undergraduate college degree as well as your 4 years in med school. 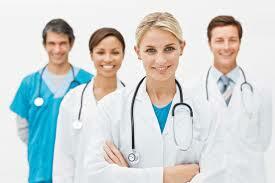 Undergo medical residency for another four years, then pass the medical board exams and your specialization exams. What they do. Oral and maxillofacial surgeons do operations and surgeries of the mouth, teeth, jaws, gums and even of the neck and head. They also remove impacted teeth and repair cleft lip and palate. How much they earn. Oral and maxillofacial surgeons typically earn $216,440 a year. Job outlook. With a faster-than-average rate of 24%, employment is expected to rise in coming years for oral and maxillofacial surgeons. How to become one. You’ll be spending many years studying to be an oral maxillofacial surgeon: 4 years of a bachelor’s degree, 4 years of dental school, 4 years of medical school then another 4 to 6 years of residency training. This occupation is one of the toughest medical professions ever. What they do. General internists diagnose and provide treatment for problems that affect the internal organs without surgery. They usually recommend treatment through medications or hospitalization. If patients need more specialized care, general internists refer them to specialists. How much they earn. The average salary for a general internist is $191,520 annually. Job outlook. With a job outlook of 24% which is faster than average, general internists will have plenty of employment opportunities in the next ten years. How to become one. Get a bachelor’s degree (4 years), get into medical school (4 years), complete your residency training (2-6 years) then get board certified. What they do. Orthodontists help straighten teeth. They use pressure on teeth by installing braces or other dental appliances. How much they earn. The median pay for orthodontists is $186,320 per year. Job outlook. Job outlook is looking good for orthodontists in the coming years with more baby boomers needing complicated dental work. How to become one. You’ll need at least 2 years of pre-dental education, 4 years of dental school, another 4 years for a graduate program and then you get board certified to practice. What they do. Family and general practitioners diagnose and treat a range of conditions. From respiratory problems to injuries, these physicians often have a base of patients that they treat over time. They often make referrals to other specialists when these patients have more serious conditions. This occupation works the closest with families out of all medical professions. How much they earn. Family and general practitioners typically make $180,850 per year. Job outlook. The growing and aging population’s demand for health care will continue to rise, with family and general practitioners having more employment opportunities in relation to this. How to become one. Get your 4-year undergraduate degree and spend 4 years in medical school, then complete your residency training which is about 3-4 years. After that, you have to get certified and then you may opt for fellowship training. What they do. Psychiatrists are mental health physicians that assess and diagnose mental illnesses through counseling, hospitalization, psychoanalysis and medication. How much they earn. The average wage for psychiatrists is $177,520 a year. Job outlook. With a faster-than-average job outlook for this profession, psychiatrists will enjoy consistent employment in the coming years. How to become one. After getting your b.s. degree, attend medical school for four years, then complete another four years of your residency training in psychiatry. Then get licensed and certified to practice. What they do. Pediatricians provide care for infants and children, teenagers and young adults. They assess and treat health problems that are specific to younger people. Pediatricians often treat everyday illnesses, minor injuries, infectious diseases as well as administer vaccinations. How much they earn. The average pediatrician earns about $167,640 per year. Job outlook. With the growing population and concern for health, pediatricians will be seeing a rise in their employment opportunities in the next ten years. How to become one. Complete 4 years of undergraduate school, 4 years of med school and 3 years of pediatric residency training. Then get board certified to practice. What they do. Podiatrists give medical and surgical care to patients with lower leg, ankle and foot problems. They assess, treat and perform surgeries in relation to foot and leg problems. How much they earn. Podiatrists typically earn $132,470 per year. Job outlook. With the aging and growing population continuing to rise, more people with leg and foot problems will be needing the attention of podiatrists. How to become one. After completing a 4-year bachelor’s program, you’ll need to study for another 4 years in med school. After that, a three-year residency is required before you can get a license to practice. Nobody gets in a career just for the money, but it’s no secret that these top medical professions get better pay with more job opportunities than any other occupation. With all of these careers getting a positive job outlook, steady employment is expected for these medical professions in the coming years.